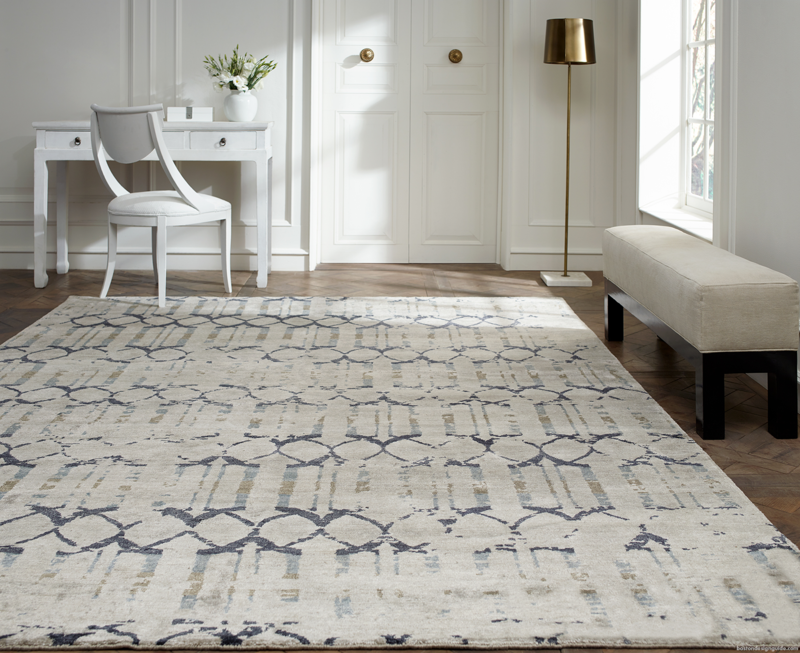 Transitional rug designs are going strong on the home front, with the most successful styles channeling ancient motifs and patterns in refreshed and inspired ways. Composition, color and texture are key for transitional spaces, and all are often manipulated for a diverse and exciting effect. Principal Heather Vaughan of Heather Vaughan Design nails the transitional look with an inspired living room setting that deftly layers tone, subtle pattern and detail. 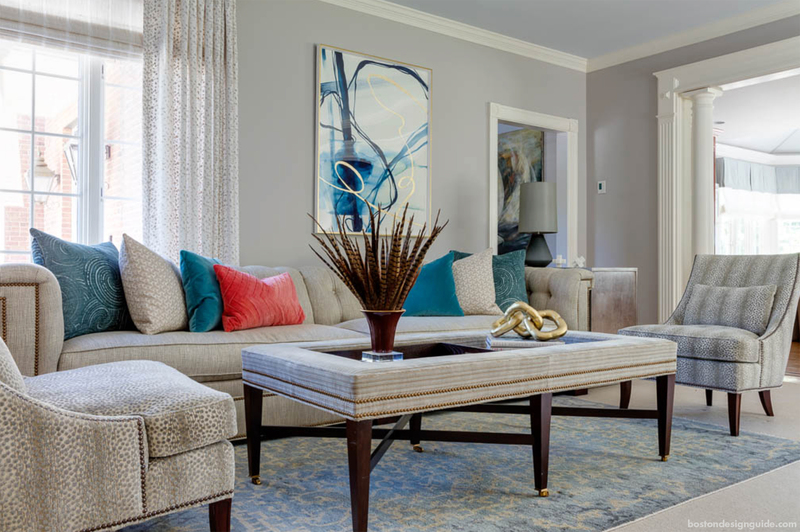 While the space is largely awash with gray tones, Vaughan introduces color by virtue of the soft blue and gray transitional rug underfoot, plush, peacock blue pillows and abstract art. These elements give the look a fresh and current feel amid the room’s classic counterparts (think architectural moldings and upholstered slipper chairs). Transitional spaces, hovering somewhere between classic and contemporary, are all about simplicity and line. 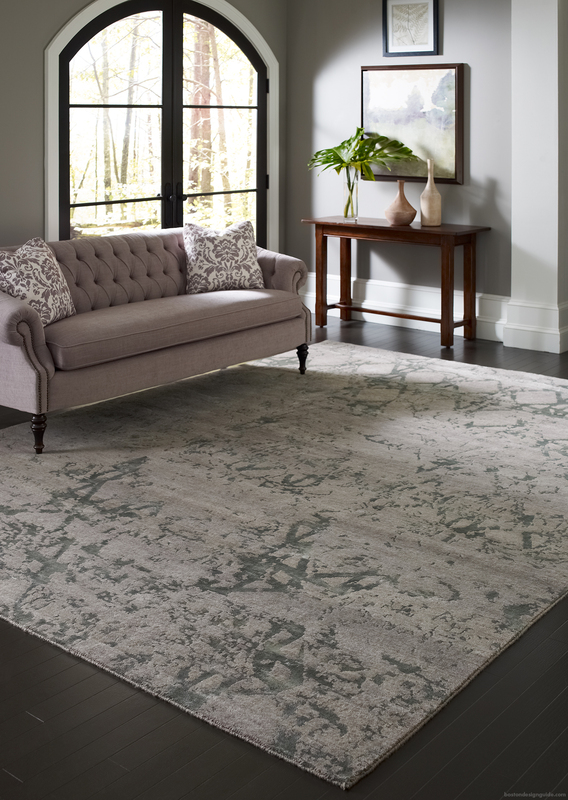 Boston Rug Company, which is known for its Persians and other premium rugs, “has an array of beautiful transitional rugs,” says President Bahman Kimiachi. In the above design, a subdued transitional rug with hushed gray and blush tones complements a classic sofa, end table and muted artwork, while below, a blue and ivory beauty softens the whitewashed brick walls and contemporary forms of the asymmetrical leather sofa and coffee table. 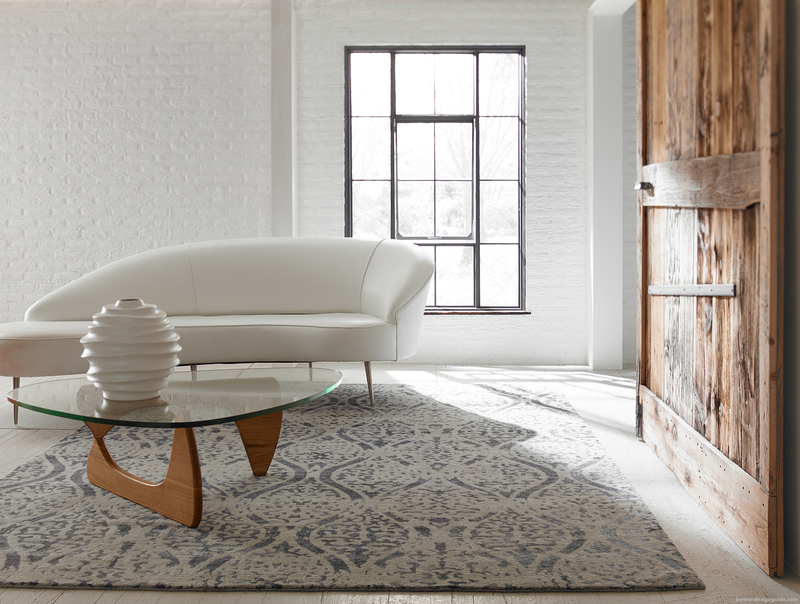 PRO TIP: Transitional rugs without borders or a central medallion pair easily with varied furniture arrangements. 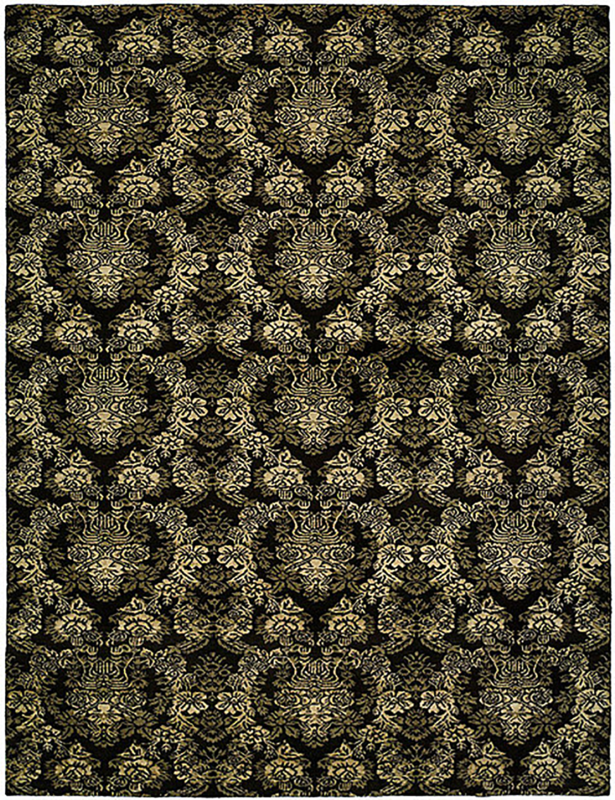 Boston Rug Company's woven, pictured below, is particularly popular with designers and available in an array of designs, colors and standard and custom sizes.